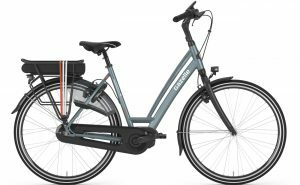 They’re here, the NEW 2018 Gazelle E-Bikes……! Following weeks and weeks of eager anticipation, we’re over the moon that the new range of Gazelle E-Bikes has finally started to arrive here at OnBike. Once again for 2018, we’re absolutely bowled over by the craftsmanship and attention to detail of this Dutch giant. As in previous years, many of the well known models are re-launched thanks to the huge nature of their popularity. Some have had a little bit of a makeover, perhaps a colour change, but nothing drastic. Gazelle E-Bikes really are the epitome of luxury, and quite rightly so. The Gazelle range have many unique characteristics which make them so popular. These include individually designed frames. Each e-bike is special! Smooth welds and integrated cables are another eye-catching feature. Most noticeable is that many Gazelle E-Bikes have a very easy to adjust handlebar stem. This enables the bars to be both rotated and moved closer or further away in one simple movement. They lock easily and securely, and is an ideal bike to share amongst the family. 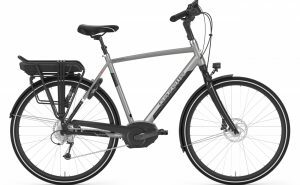 A fabulous double-tubed step through frame with simple yet effective 7-speed Nexus hub gears. 26″ wheels and a small frame typify this very smart and elegant step through, powered by Shimano. Ultimate indeed! Strong lines and a super finish on this high flying crossbar with Bosch Nyon navigation as standard. 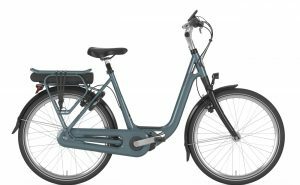 We think that the 2018 range of Gazelle E-Bikes represent great value for money, we hope you do too. It is an outstanding, quality brand with a huge pedigree that provides a wide range of top quality, elegant e-bikes.